Our house is in mad preparations for visitors-- but not just any visitors-- the Nana and Pop Pop variety. Here is what preparation looks like for us. All kids have newly painted toe nails. James went with blue this time- because it's a boy color but followed it up with sparkles. That's my boy. Daisy also went blue but is insisting that hers are yellow. I am sporting purple with sparkles in honor of the new baby coming next month that could swing either way. James spent much of the afternoon practicing snack time for when he will get to feed Nana and Pop Pop. On the menu-- toast. Maybe he can show them how to make a Y when we hit craft time. He is also practicing his after dinner (toast) performance of Ninja skills. 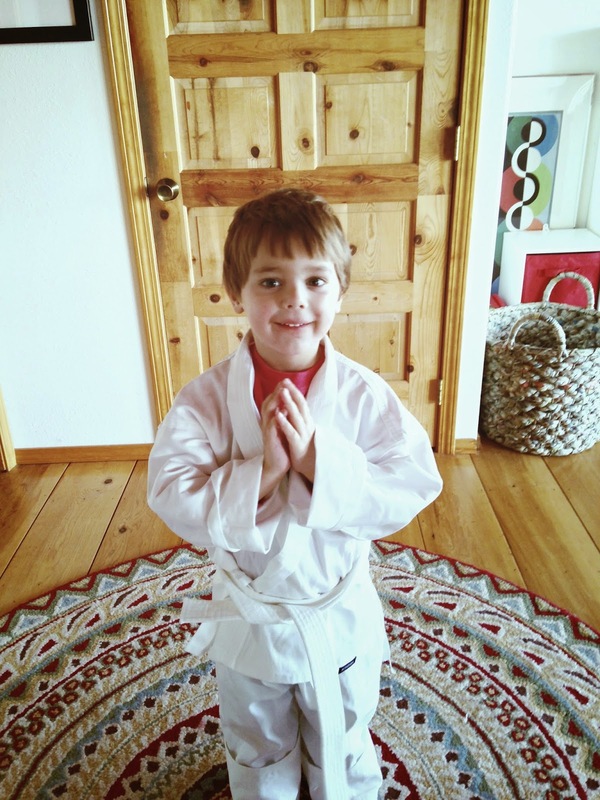 James is 1 whole month into Karate (ninja) and is excited to show his mad skills: like holding a foot up in the air, jumping jacks and teaching them the complexities of freeze tag. Pop Pop will hopefully be ok with adjusting the Notre Dame Football plays that run constantly in our house to now include the occasional Hi-Ya. The kids have been saving their stars so that they can buy a treat for Nana and Pop Pop at Ketchicandi tomorrow. I'd put a 20 down on the fact that despite it's their treat and they get to pick it. . ..everyone is leaving with gummi frogs. We're stoked to send some time with these awesome folks and explore Ketchikan-- what has become a pretty special place for us.